One of the reasons I love books are they allow you to see into areas of life that you wouldn't normally experience. 'A Street Cat named Bob' is a wonderful little book. It's the story of how a mangy ginger tom cat decided to adopt a homeless heroin addict, James, and how the simple fact of having another living being who needed him enabled James to turn his life around and get off the smack. 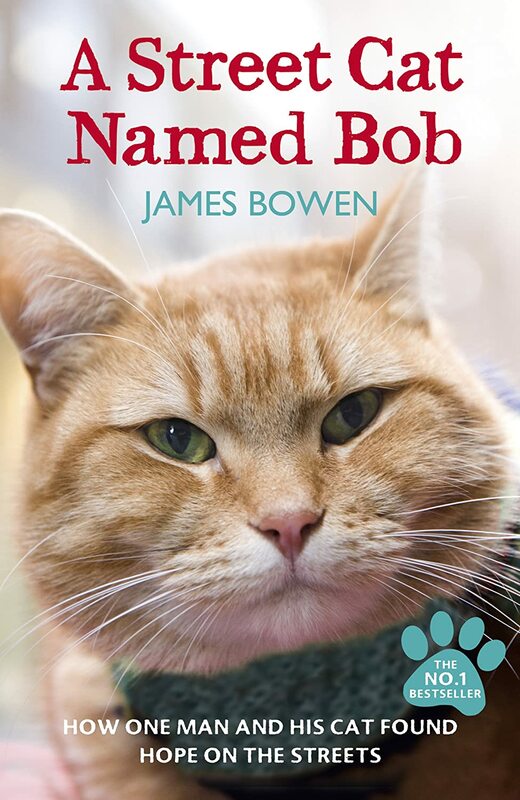 It's a simple book about ordinary things like how James tried to dissuade Bob from living with him, (but Bob was having none of it), taking the cat for his vaccinations, getting excited about earning a bit of extra money and being able to afford a nice curry & some extra special cat food but there's something life affirming about it. We all need someone (or some cat) to stick with us in spite of everything and we all need responsibility beyond just taking care of ourselves to give our lives meaning. I think I've actually seen James and his cat busking in Covent Garden so it's nice to read about the back story. That cat was actually giving him high fives! This is an easy but wonderful read,I couldn't put it down! You will experience so many emotions when reading this heart warming story,a brilliant example of how hope can emerge from the depths of dispair.Finding each other gave Bob and James a new purpose in life and hope for the future.I'm sure it will be a best seller!